How Do You Specialize a Nursing Degree in Pediatrics? 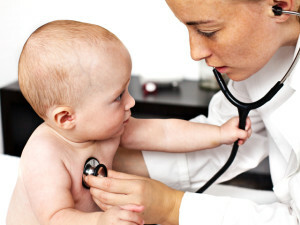 Choosing to specialize a nursing degree in pediatrics will prepare nursing students to work specifically with children and teens who all have their own unique needs. Since a child’s body is still developing and their anatomies can be different from an adult’s, learning about common health issues that are unique to children in development is important. This is why there are specialized courses that are all centered around pediatric nursing and pediatric care as a whole. If your goal is to work with young patients in either a private practice, clinic or children’s hospital, read on and find out what steps you need to take to specialize your degree and earn a certification. The very first step to becoming a specialist in pediatric nursing is to take a general nursing degree program so that you can become a registered nurse. Since specialists must take advanced coursework specializing in different areas of care, you will need to take a bachelor’s program majoring in nursing before you will satisfy prerequisite requirements to take advanced courses and to take the licensing exam. Once you hold an accredited BSN degree, you will be eligible to apply to take the uniform NCLEX-RN exam to get licensed to practice as a Registered Nurse. The traditional BSN program takes about four years to complete, but there are other pathways where you can accelerate your BSN degree to earn a Master’s degree in a shorter time frame. The purpose of a earning a master’s degree is to expand your knowledge and to focus on more specialized subjects. While you can get a job in a pediatric setting without necessarily having a Master’s degree, since a large population of nursing professionals compete for pediatric jobs it is wise to take the 2 extra years to really become a specialist. When you are choosing a Master of Science in Nursing degree program it is important to choose the right types of courses, according to Discover Nursing. You can choose programs in Pediatric Acute Care, Pediatric Clinical Care, Pediatric Primary Care, and Neonatal Nursing that will all prepare you for different facets of the specialty area. Now that you have your advanced degree in nursing, you are one step closer to being seen a specialist in your profession. What will really distinguish you and earn your title of specialist is earning your credentials. The Pediatrics Nursing Certification Board grants the Certified Pediatric Nurse (CPN) certification to candidates who have a BSN, MSN or even a doctorate. Before you can become a CPN, you must have demonstrated your specialist knowledge and show your mastery of pediatrics content. Some of the different areas you are tested on include: physical and family assessment, health promotion, management of clinical problems, and professional role. Once you pay the certification fee and pass the CPN Exam, you will be a credentialed specialist. If your goal in life is to work with young children or teens, it is time to get to work. For those who are not yet degree holders, taking a special BSN to MSN pathway might be ideal to get to your credential faster. Make sure to review the credential requirements and then you can decide how you want to specialize a nursing degree in pediatrics.